Grandaddy Black is a deadly Indica strain with unbelievable potency and the power to lock the most experienced smoker to the couch. Grandaddy Purple and Black Domina blend to create this lethal potion of Indica with the capability of wiping out pain, stress, depression, anxiety, insomnia, ease muscular pain and spasms and turn bad days into good. Grandaddy Purple is a regal marijuana strain in it´s own right and combining it with the elite Black Domina, Original Sensible Seeds have something special here that´s effortless to grow, will satisfy the most devote cannabis gourmet and suit the demands of the commercial grower. Compact plants show off an amazing array of green, purplish black foliage laden with plump potent resin glazed buds that have an earthy sweet fruity flavour with grape undertone. The average flowering period for these cannabis seeds indoor is 60 to 65 days and that's all it takes to produce a bumper crop of this almighty potent weed. Grandaddy Black will also thrive outdoors and is well suited to most climates finishing toward the end of September / first week of October and harvesting around 800 gr of weed per plant. 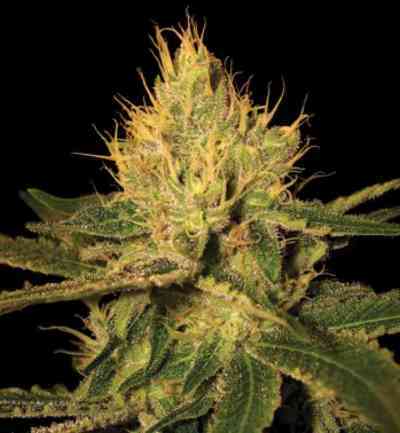 Grandaddy Black from Original Sensible Seeds is one of the most potent strains in the catalogue and its imperial genetics are the ultimate couch locking sensation and are everything you need to grow the perfect cash crop.